Another year is winding down. This week we’ll wrap up our look back at those who died during 2013. In July, we lost a man whose ingenuity has had a profound influence on everyone reading this, and a woman who blazed a trail for others in the media. Douglas Engelbart was an American inventor, and an early computer pioneer. He believed there was a way to make human-computer interaction simple, and his invention is still with us today. Engelbart began working with computers in 1957 in California. He published a report about his vision of human-computer interaction in 1962, and in 1967, he applied for a patent for the first computer mouse. 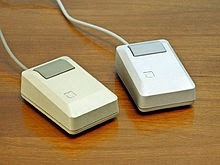 Engelbart said the device was nicknamed a “mouse” because of the cord that trailed along behind. But Engelbart received no royalties for his invention due to a conflict of claims between SRI (Stanford Research Institute) International and Engelbart. In 1988, he and his daughter founded the Bootstrap Institute where he offered a series of three-day seminars touting the coming age of computers and how it would affect our lives. 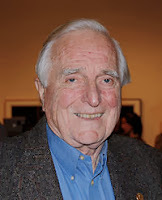 Douglas Engelbart died on July 2, 2013 of kidney failure at his home in Atherton, California. He was 88 years old. Although not a household name, his understanding of computers, and his engineering abilities will influence our lives for years to come. July also incurred the lose of someone who was one of the most influential women in America. Helen Thomas was a news service reporter, columnist and member of the White House press pool during her 70-years working in the media. She was also a pioneer who broke the glass ceiling for women journalists. Her persistence paid off and Thomas headed up a list of "firsts" for women in the media including first female officer of the National Press Club, the first female member and president of the White House Correspondent’s Association, and the first female member of the Gridiron Club – one of the most prestigious journalistic organizations in Washington. 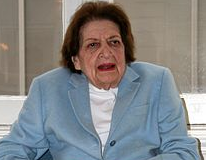 Helen Thomas died on July 20, 2013, two weeks shy of her 93rd birthday, at her home in Washington D.C. Thomas was cremated and her ashes were buried in an undisclosed Detroit cemetery. You might not recognize her name but if you’ve ever watched the Wizard of Oz you have seen her. 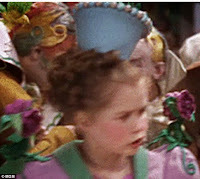 Margaret Pellegrini was best known for playing one of the Munchkins in the 1939 movie. Pellegrini began performing with Henry Kramer’s Midgets, traveling around the country, entertaining at state fairs. At the age of 15 she became one of MGM’s 124 Munchkins. In the movie Pellegrini wore a flowerpot hat and danced to the news that the Wicked Witch was dead. 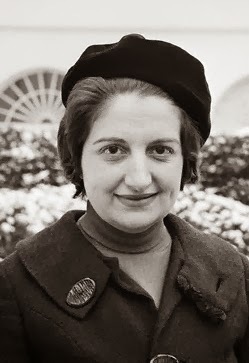 Pellegrini later married boxer William Pellegrini and had two children. She attended the Wizard of Oz festivals and events around the country for years. Margaret Pellegrini died on August 7, 2013 in Phoenix of complications from a stroke. She was 89 years old. 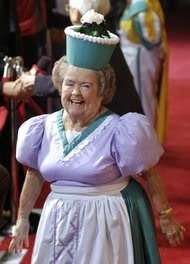 Pellegrini was one of the three last surviving Munchkins. She was a part of one of the few husband-wife acts that managed not only to stay together but blossom under Hollywood’s skeptical eye. Eydie Gorme’ began singing in 1950 with the Tommy Tucker Orchestra. By 1951 she was performing on radio shows, and she made her first solo record in 1952. In 1953, she met Steve Lawrence on the Tonight Show. 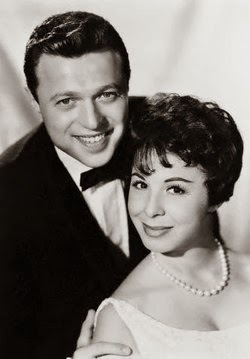 They were married in 1957, and began starring together in the Steve Lawrence-Eydie Gorme Show in 1958. The two continued to perform together through much of their married lives. But Gorme’ also kept up her solo career winning a Grammy Award for Best Female Vocal Performance in 1967 and topping various music charts during the 60’s and 70’s. Eydie Gorme’ died on August 10, 2013 six days before her 85th birthday, at a medical center in Las Vegas where she had been admitted following a brief, undisclosed illness. Her husband, Steve Lawrence, survives her. Eydie Gorme’ was interred at Hillside Memorial Park in Culver City, California. He was a media personality known for his interesting interviews and sense of humor on both sides of the Atlantic. 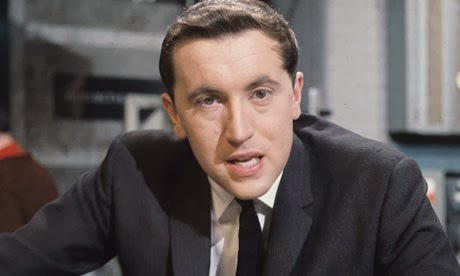 David Frost began his career in 1962 hosting a satirical program called That Was the Week That Was in the UK. Frost began broadcasting a show in the U.S. in 1968, as a serious interviewer and television host. 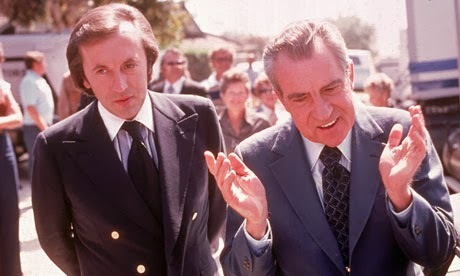 Frost is known for The Nixon Interviews, a series of five 90-minute interviews he conducted with former President Richard Nixon in 1977. A stage production, Frost/Nixon, which focused on the interviews, was presented in London in 2006. In 2008, the play was adapted into a movie by Ron Howard. Frost continued broadcasting in England in a variety of programs, among them Breakfast with Frost, Through the Keyhole, and Frost Over the World. He was the only person to have interviewed all eight British Prime Ministers from 1964 – 2010. 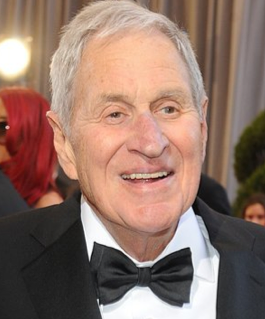 He was knighted in 1993 and his television career spanned over 40 years. Sir David Frost died on September 1, 2013 on board the cruise ship the MS Queen Elizabeth. The apparent cause of death was a heart attack. He was 74 years old. David Frost was buried in Nuffield, Oxfordshire, England. And now we pay tribute to yet another 20th century inventor who has affected all of our lives. 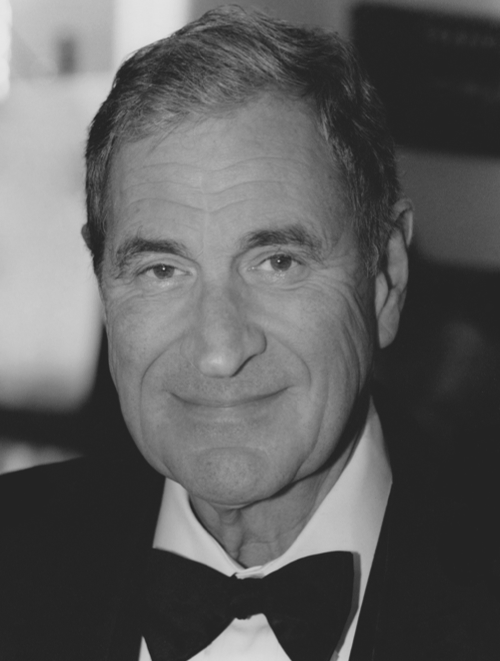 Ray Dolby invented the noise reduction system known as Dolby sound in 1965. Dolby sound was originally used to reduce tape hiss in reel-to-reel tape and analog cassette recordings. The first movie to use Dolby sound was A Clockwork Orange in 1971. Dolby stereo was released in 1975 and film cinemas around the world were outfitted with the new sound system. Dolby surround sound hit the film industry with the movie, Batman Returns. His Dolby sound process is now mainstream, being used in digital audio, phones, and cameras. Besides Dolby sound, he also helped develop the VTR (video tape recorder) while working at Ampex in 1956. 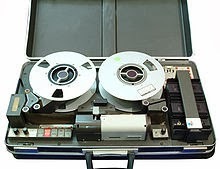 The VTR was a breakthrough tape recorder that recorded video on magnetic tape. News crews could go into the field and record an event, then return to the station and play the video back on air without waiting for film to develop. Plus this method was cheaper. Ray Dolby died of leukemia on September 12, 2013 at his residence in San Francisco. He was 80 years old. According to Dolby officials, a celebration of his life would be held sometime in the future. In a month filled with haunting tales, a writer whose “spooks” always kept us thrilled passed away, and a never-to-be-forgotten voice was silenced. 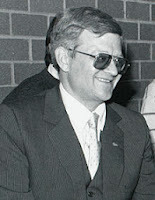 Tom Clancy was an American author, known for his espionage and military science thrillers. Seventeen of his novels made it to the bestseller list, and over 100 million copies of his books are in print. Clancy’s career took off when he wrote The Hunt for Red October in 1982. The book was released in 1984 and received praise for its credible storyline and technical accuracy. Clancy followed up this success with Patriot Games in 1987, Clear and Present Danger in 1989, and The Sum of All Fears in 1991. All were made into action movies, which helped cement, Clancy’s reputation in the spy thriller genre. He also wrote several nonfiction books for various departments of the U.S. Armed Forces. In 2008, Clancy sold the use of his name to a video game manufacturer to promote its action-packed games. Tom Clancy died on October 1, 2013 of an undisclosed illness near his home in Baltimore, Maryland. He was 66 years old. No burial information was provided. Her voice was heard on The Simpson's for over 20 years. Marcia Wallace was the voice of elementary school teacher Edna Krabappel for over 100 episodes. She won an Emmy for Outstanding Voice-Over Performance in 1992 for her role on the show. Before that she played Carol Kester the quick-witted receptionist on the 1970s sitcom The Bob Newhart Show, a role that was specifically designed for her. Wallace appeared on numerous sitcoms, game shows, and dramas, along with many theatre productions around the country during her 50+ years of performing. Marcia Wallace died on October 25, 2013 after an undisclosed illness. She was 70 years old. Wallace was cremated following a private funeral service. Her Simpson’s character, Mrs. Krabappel will be retired in her honor. November brought the loss of a global chef and a global code breaker. American chef and restaurateur, Charlie Trotter made a name for himself with his Chicago restaurant, where no dish was repeated. It was 1987 when Trotter, a self-taught chef, opened his “Charlie Trotter” restaurant in the Windy City. Word of his amazing meals spread quickly and diners flocked to his restaurant. In 1999, Trotter hosted a PBS cooking show The Kitchen Sessions with Charlie Trotter. He was also named Outstanding Chef in the U.S. by the James Beard Foundation. Wine Spectator magazine declared his restaurant the best in the country, and Trotter’s restaurant also received a James Beard Award for Outstanding Service in 2002. He was also inducted into the Culinary Hall of Fame. Trotter wrote 14 cookbooks and was known an innovative chef, both at home and around the world, for his food and restaurant. He was deeply involved with his philanthropic organization Charlie Trotter Culinary Education Foundation. Trotter closed his Chicago restaurant in 2012 so that he could travel. His other various restaurants were also closed by 2012. Charlie Trotter died on November 5, 2013 from a stroke resulting from high blood pressure. He was 54-years-old. His funeral was held at Fourth Presbyterian Church in Chicago. Burial was not disclosed. 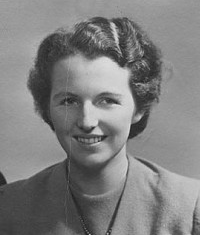 Her code breaking contributions during World War Two helped to make D-Day a success. Mavis (Lever) Batey was an English code breaker at Bletchley Park during the war. In 1940, she was recruited to work as a general code breaker. 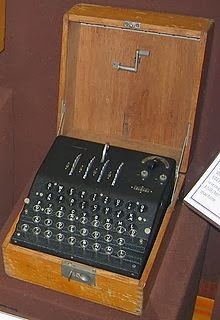 One year later she broke a message between Belgrade and Berlin that aided the English in figuring out the Abwehr Enigma machine, which had been considered to be unbreakable. Mavis married a fellow code breaker, Keith Batey. After the war, she raised three children and spent her spare time involved with the preservation and conservation of gardens in England. She wrote several books about the subject. Mavis Batey died on November 12, 2013. She was 92 years old. In December we lost a well-known author and a country music legend. She has been called one of the best-selling female writers in the country. Janet Dailey was one of the reigning American authors in the romance genre for almost 40 years. Her first book No Quarter Asked was published in 1976 and sold over 1 million copies. Dailey wrote books for Harlequin, Pocket Books and Silhouette Books, turning out two and three novels a year. Her heroines were strong, independent women who appealed to the working women of the 1970s, and beyond. There are over 325 million copies of her books in print. Janet Dailey died on December 14, 2013 at her home in Branson, Missouri from complications due to a recent aneurysm. She was 69 years old. Dailey was buried in Ozarks Memorial Park Cemetery in Branson. The man had a music career spanned seven decades. 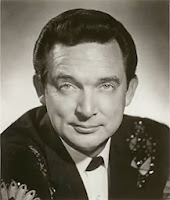 Country music singer and songwriter, Ray Price formed his first band, The Cherokee Cowboys in 1953. It was made up of names that would become country music legends in their own right; Roger Miller, Willie Nelson, and Johnny Paycheck, to name a few. Price stuck to the 1950s honky tonk music until the late 60’s when he began experimenting with the Nashville Sound. Soon he had a No. 1 hit with For the Good Times. During the 1970s he had three more hits before his final chart topper of 1982, Diamonds in the Stars. Price wrote over 100 chart singles. He was inducted into the Country Music Hall of Fame in 1996. Price released several albums, most notable For the Good Times, which won Album of the Year in 1970, and Lost Highway, which scored Best Country Collaboration with Vocals with Willie Nelson in 2008. Ray Price died on December 16, 2013 of pancreatic cancer at his home in Mt. Pleasant, Texas. He was 87 years old. His funeral was planned for December 28 in Dallas. So concludes our look back at those who passed on in 2013. 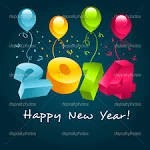 Here’s wishing you a happy, safe, and prosperous New Year 2014! Well I should be able to visit David Frosts grave as the church is only a few miles from me. Thanks for the two roundups they were very informative. How cool! Thanks for commenting and reading, Bill!